OK, I have been back training properly for a few weeks now and did a max ramp test on the 23rd July (increasing your power by 20 watts every minute). Amazingly, my power was up, toping out at 500 watts. Just goes to show that the forced bed rest over my accident does have some benefits. Since then I have picked up the intensity a bit and even done a few time trials on the training bike. Last night I managed to hold 366 watts average in the local 25mile TT. Not a bad effort all things considered. I am still waiting to get my TT bike back into action as it has been off getting X-Rayed. While waiting, I have been checking out what frames are out there just incase I need to replace the current one. 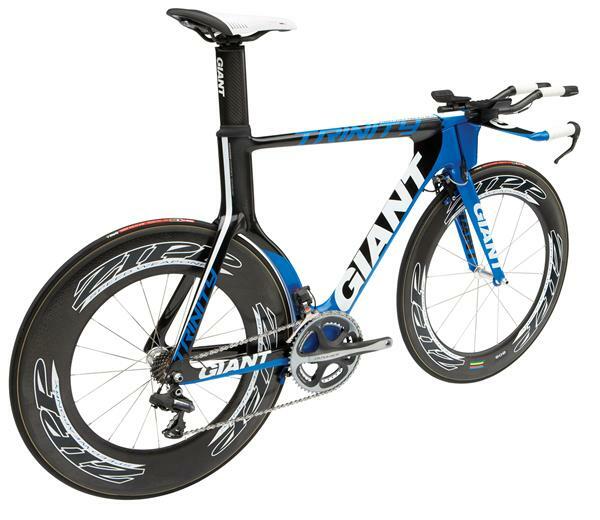 Pick of the bunch would have to be the Giant Trinity Advanced SL O. That is one fast piece of kit and it would be interesting to see what kind of difference it would make to your bike split in an Ironman, riding a bike like that? ?